The chart below shows how federal tax credits impact the cost of renewables. 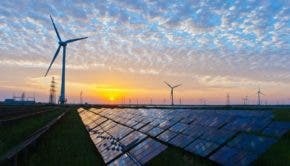 The effect is modest, but it is important in helping wind and solar compete with coal and gas in much of the United States. Fossil fuels, it should be said, have benefited from decades of federal support.